Welcome to Stray Voltage Games. Makers of PC and Console games. The Brain-Borgs have come online and the lab wants to shut them down. 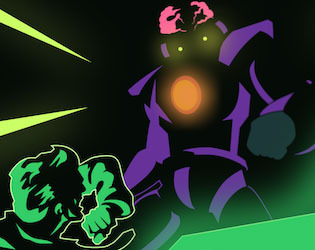 Use your Brain and your two Cyborg bodies with their different abilities to Escape the Lab, or be terminated. A physics puzzle platformer including single and co-op play. 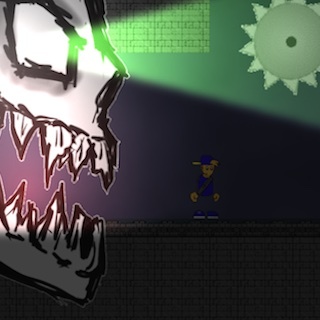 You play as a rogue Cyborg experiment that must escape the lab. Escape the Lab was created in 1 month for the GameOff Jam sponsored by GitHub. 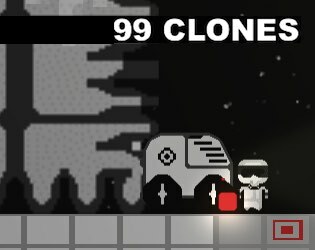 The Sisters of the Blue Nebula have been kidnapped and it's up to you and your ship of 99 clones to rescue them. A fast paced mix of twitch platforming and puzzle play. You control both your Space Rover and your clones. Together you must deploy bombs and bridges while avoiding alien life to bring your Space Rover to the rescue. Alien Undead Armageddon is a retro platformer. Aliens have crash landed on earth. It's up to AJ, and his inventor genius father to defeat them and save the neigborhood, and Earth! Features speed levels, bosses, and more. Alien Undead Armageddon is available for Android TV, Tablets, and Phones. Bombs is a furious, fast, and fun action strategy game for the iPhone and iPod touch. 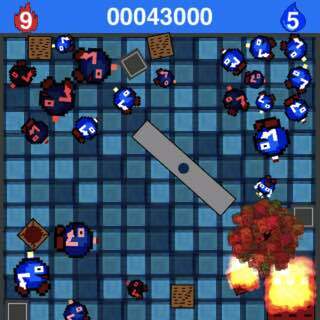 Explode the bombs and protect your castle. Defeat 100 waves of the evil bomb horde to win the game! Compete for high scores and achievements on Game Center.